The goalkeeper debate among Arsenal fans has shown its head on January 1st. On that infamous New Year’s day Arsenal’s squad, ridden with injuries, on the back of a busy Boxing period, succumbed to Southampton at St. Mary’s. It’s not the disappointing manner of the defeat or a knackered Alexis Sanchez that we’ll remember that game for, rather it’ll be the performance both on and off the pitch of our then №1 goalkeeper: Wojciech Szczesny. After putting in an incredibly weak performance and capping it off with two obvious blunders both of which ended up in our net, Woj went and had a smoke in the showers. Szczesny was dropped immediately. He would only play 5 games out of the remaining 25, all of them in the FA Cup. None of them (bar the final game) overly convincing. 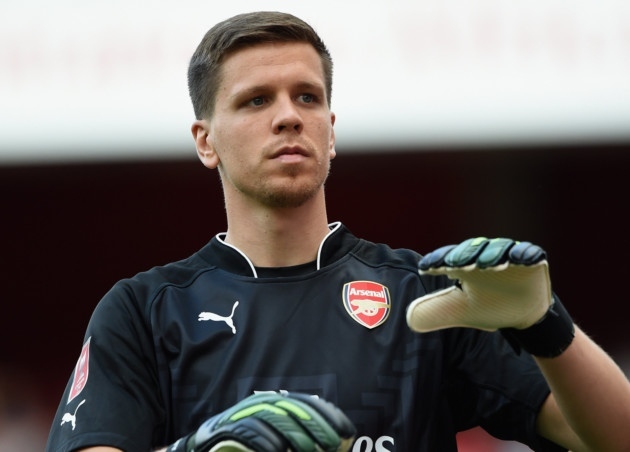 Wojciech finished the season as a №2, behind the unspectacular, but solid David Ospina. With transfer window due to open in 2 weeks, the whole situation begs the question: what will happen next? Who will be our goalkeeper of choice next season? Rumours are flying around we are in for Petr Cech and, while I hate getting caught up in the transfer mill, the comments from Cech’s coach at Chelsea hint Petr wants to join Arsenal. So I’m going to look at our goalkeeper merry-go-round by making a brave assumption that Cech WILL join us. What will happen to our other goalkeepers? If Cech really does come to Arsenal, it won’t be to sit on the bench. Cech is 33, not 20 or even 25 to wait for his chance. He’s a proven Premier League goalkeeper, one who has been ever-present at Chelsea for 11 years. Moreover, I’m sure Arsene understands all this. He knows Cech will only agree to join if we offer him something he lacked at Chelsea this season: regular football. Not much sense in swapping the Blues’ bench for ours. So that’s what I think will be in store for our current goalies. He’ll be sold. For me it’s as simple as that. It looks like Wenger’s patience ran out after that defeat to Southampton. Let’s be honest, why should we keep Szczesny if Cech joins? Because he is a fan of the Club? Okay, but what else does he bring to the table? The mere fact we are having a debate about whether he should or shouldn’t be our №1 five years after he joined tells you all you need to know. Szczesny had a brilliant last season, he did. And he undoubtedly possesses the ability to be great. Problem is, it looks like Chezza is stagnating. Moreover, it looks like he’s gone backwards this year. Can he get his head straight? If the answer is “yes”, then he should stay. However, from what I’ve seen, it doesn’t look like he can. I won’t pretend I know what the manager thinks, but for me Szczesny should be the prime candidate to leave if we bring in Cech. Will the Colombian feel hard done by if he begins the season on the bench? Especially after winning the battle for the №1 shirt the previous season? He undoubtedly will. However, while I was a huge fan of Ospina at the outset, I changed my stance somewhat recently. I’ll explain why. Ospina didn’t have any particularly memorable games upon seizing his opportunity. He had a brilliant game against Spurs, one which we lost, but that was it. I wasn’t overly worried by the fact the Colombian wasn’t making Hollywood saves every week: my argument was he didn’t cost us points. He may have not won any, however he surely wasn’t making childish mistakes leading to goals. He was calm, solid and confident without being self-confident. It presented a nice change from Szczesny’s behavior. In May, however, Ospina did the exact thing I feared: he cost us points. Just once: against Swansea. I defended him like mad that night: he was not the main culprit after all and even if he was, it was the first time in 5 months. Then Ospina had a nightmare of a performance against West Brom. Luckily, by the time he decided to make a couple of blunders we already were 4-0 up. However, it was not until very recently that I truly started to feel uneasy about the prospect of seeing David start the season as №1. The trigger was Colombia vs Venezuela game during Copa America. To be more exact, it was the manner in which Ospina conceded: a soft header. Rings any bells? So now the Colombian has at least 4 games which can give you food for thought, the 4th being against Monaco. I won’t blame him for the deflection, or Berbatov’s one-on-one, but I think a better keeper would have kept out Carrasco’s shot. Yes, the Colombian will have every right to feel hard done by to start next season as second choice, however if he does, you could argue it won’t be completely off the mark. But I don’t see Arsene selling him after just one season. Now here’s an interesting case. Someone on Twitter suggested that in case Cech comes in, Ospina can be relegated to 3rd choice and Martinez promoted to the bench. Crazy as it seemed to me at first (make a newly-bought international back-up to someone who hasn’t even got 10 Club appearances? ), it started to make more sense as time passed. Thing is, Martinez looks a talented prospect. 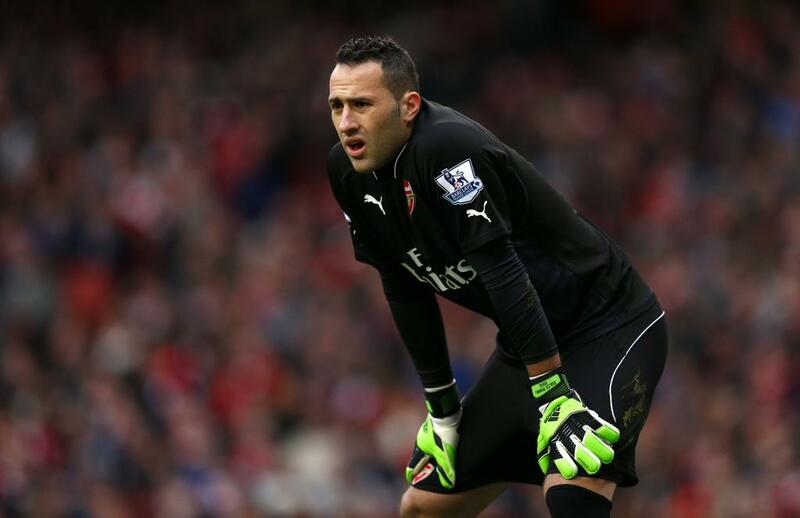 While he certainly is less experienced than Ospina, he hasn’t reached his peak ability-wise. 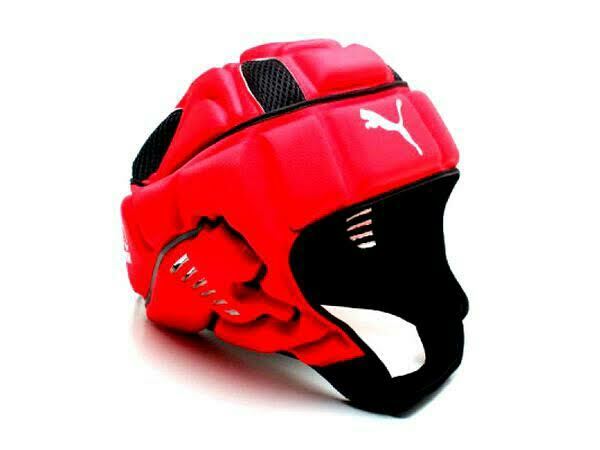 Ospina looks like he had. Moreover, while Martinez had an absolute disaster of a performance against Stoke, he showed flashes of promise before that, keeping three consecutive clean sheets against Borussia, West Brom and Southampton. I also liked his manner: calm and assured. A younger and taller version of Ospina, one with less experience though. My fellow writer Dave Seager remains unconvinced by Martinez’s time with Sheffield; as for me, I think we can have a surprise on our hands. Maybe that’s the optimist in me talking, however having seen Coquelin rise from the Charlton ashes, I think Martinez would be less of a surprise in terms of making a breakthrough. Maybe he can be given a chance in the cups? Is there a risk of him leaving should Cech come in? I somehow don’t think so. Sure, probably another loan is more likely than a fight with Ospina for a place on the bench, but a loan should not be viewed as an end to your aspirations. 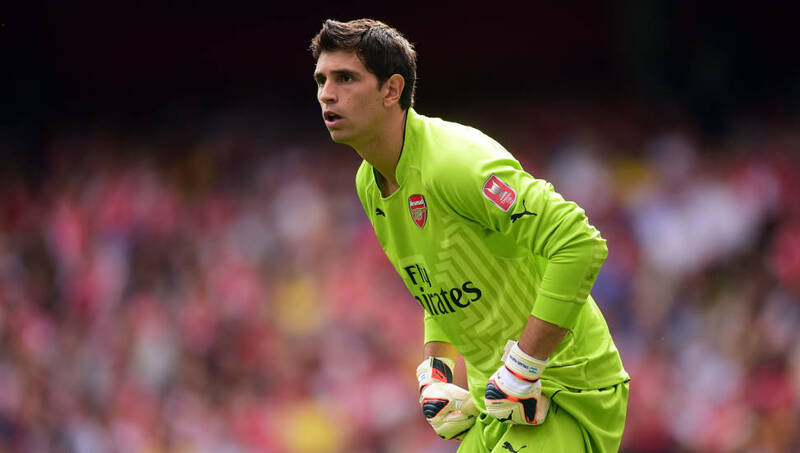 While if he stays, Emi can gain valuable experience by learning from Cech. Definitely better than learning from Szczesny. Can Emi be the one for the future? I haven’t touched on another possibility, one which is not completely out of the question: we won’t bring in Cech or anyone else in the goalkeeping department. In this case, I suspect things will stay as they are now: Ospina will start most games, Szczesny will play in the cups, Martinez will likely go on loan. It’s pretty straightforward, really. Can we bring someone else in? Of course we can, but it’s pure speculation at this point. Moreover, I haven’t really seen us linked to anyone (Cech excluding) recently. And I only brought up the whole thing with Cech because there’s just too much smoke. Voice your opinions in the comment section below. Julian Draxler – Genuine Arsenal target or Media Hype? – GT Report from Germany.